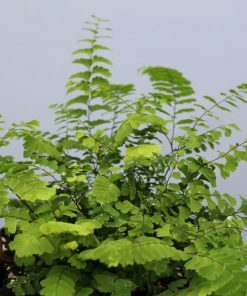 Himalayan Maidenhair – Hardy deciduous fern, almost evergreen in mild areas, forming a mat of fronds up to 25cm. 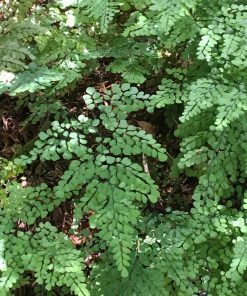 Moist, cool sites with plenty of shade. 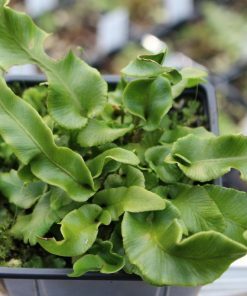 Hardy and reliable herbaceous fern, which makes an ideal specimen plant. Distinctive red stems on delicate looking lime green fronds. 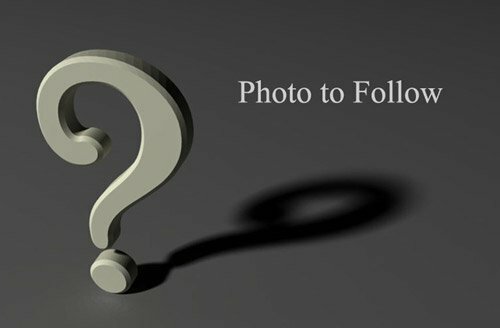 A real favourite with us. 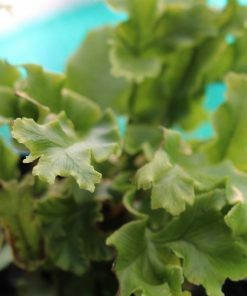 Easy to grow in good quality, moist well-drained soil. Best colours seen in semi-shaded site. medium to wet, well-drained soil. 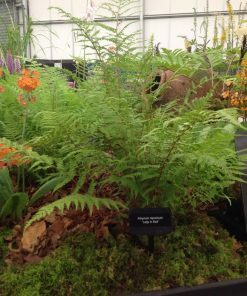 Victoria Lady Fern – Originates from Scotland in 1861. Very narrow pinnae on long fronds with drooping tassels of split tips. 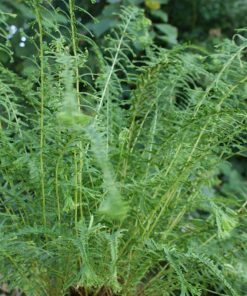 The deciduous fronds reach 30-60cm and will tolerate conditions from full light to deep shade. 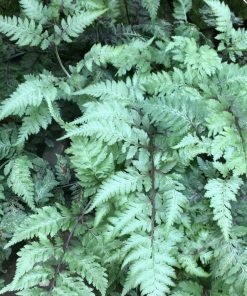 Japanese Painted Fern Hardy deciduous fern with arching, red veined silver-green fronds up to 45cm. Colour develops over the first few years. Makes good colourful ground-cover in shady sites in moist free-draining soil. Japanese Painted Fern Hardy herbaceous fern with painted reddish green fronds. Grow in free-draining moist soil in semi to full shade. Makes good ground cover. 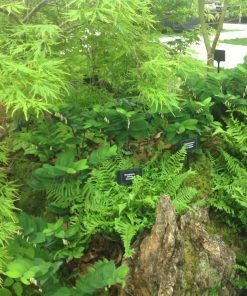 Japanese Painted Fern Hardy herbaceous fern with often reddish green fronds with a strong silvery sheen. 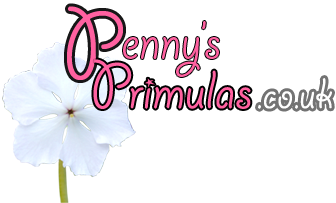 Grow in free-draining moist soil in semi to full shade. Makes good ground cover. Japanese Painted Fern Hardy herbaceous fern with deep purple-red painted fronds. The depth of the colour and frond patterning increases with age. Grow in free-draining moist soil in semi to full shade. Makes good ground cover, and equally good as a specimen planting.